It’s been a mad week for me. I’ve met more reality TV show personalities this summer than ever before. This week I had three! All from Big Brother. Between you and me I could have walked past them in the street and not known who they were but I was asked to go along and take their photos and I thought you might enjoy seeing these two of Charlie Doherty. We spent some quality time together on Tuesday and Wednesday at the BH Mallorca pool, at the beach and at the foam party at BCM. I can’t say my life isn’t varied as a photographer, that’s for sure. 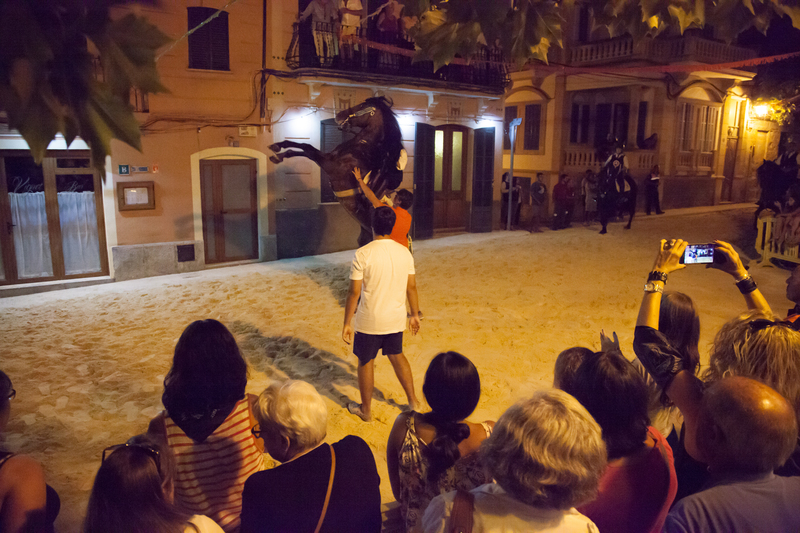 On Sunday night in my lovely village of S’Arraco we were treated to a fantastic display of horses. About a dozen gorgeous black Menorcan horses galloped down our main road (which was covered in a good layer of sand). It was less crazy than and more organised last year as the police took a keen interest in preventing people from crossing the road in front of the horses. Well done to all! At Dogs for U Cornelia rescues mainly German Shepherds: the larger dogs that most people seem to overlook . She tries to find them their forever family. At Dogs for U they would never put a healthy dog down, and those that aren’t so healthy she will do everything in her power to nurse them back to health. Some of the dogs have been at shelter for over four years, so it’s time to spread the word and get them out. Thanks to Angie Cain for her collaboration with Pet Project to get this information out and about. Coyo is 6 years old. He’s a small German Shepherd and has been in the shelter now for four whole years. Poor boy! As usual he had a very bad start to his life. But he has come through it remarkably well. He was found all alone on a finca with no other animals or people, and had been terribly neglected. Cornelia rescued him from and took him to her shelter. He is a little shy at first but when he gets to know you he is very affectionate, loves cuddles and is very playful. He is great with other dogs and excellent at walking on the lead. He has shown absolutely no signs of aggression, and so would be okay to be homed in a family with children. He needs to live inside the family home. He is castrated, chipped, all vaccines are up to date, flea protected, wormed, has a passport and comes with a DFU contract. 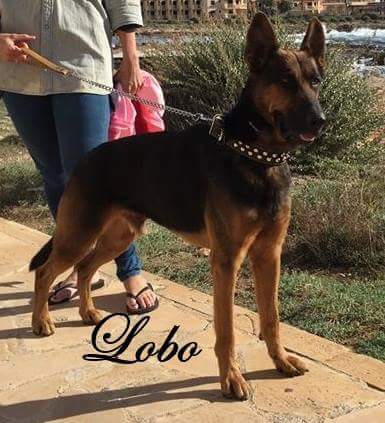 Lobo is a 2 year old German Shepherd. He’s a very loving boy who loves nothing more than climbing up beside you for big cuddles and is a perfect companion. Lobo was found on the street. He was rescued by Dogs For U. Lobo is finding it stressful at the centre: he really needs to get out. Lobo is quite a large strong dog loves running, playing and hasn’t shown any complications. He is obedient, walks excellently on the lead and shows great intelligence. Because of his size and strength it’s recommended he is homed with slightly older children, as he could accidently knock little ones over. 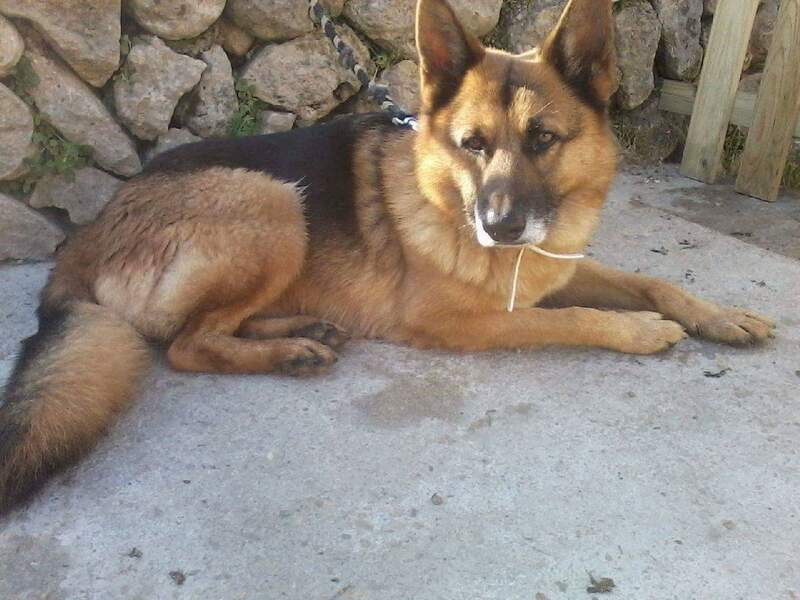 He is a great dog, a fit, healthy young boy, with no known medical problems, he’s been neutered, chipped, all vaccines are up to date, flea protected , wormed, has a passport and comes with a Dogs for U contract. Please if you can give either of these stunning dogs a loving home contact Cornelia Ks on 637242228 by WhatsApp or go to the Dogs for U facebook page and send a message there. The Wednesday Group has now launched! It meets from 10am to noon every Wednesday. You can learn to knit, crochet, and sew, or work on improving your skills, or help others to learn, be creative and make friends. You can meet up with other people and at the same time support local charities as the projects can be made for local charities to use or sell. Contact Kay on 971 676 116 for more information. 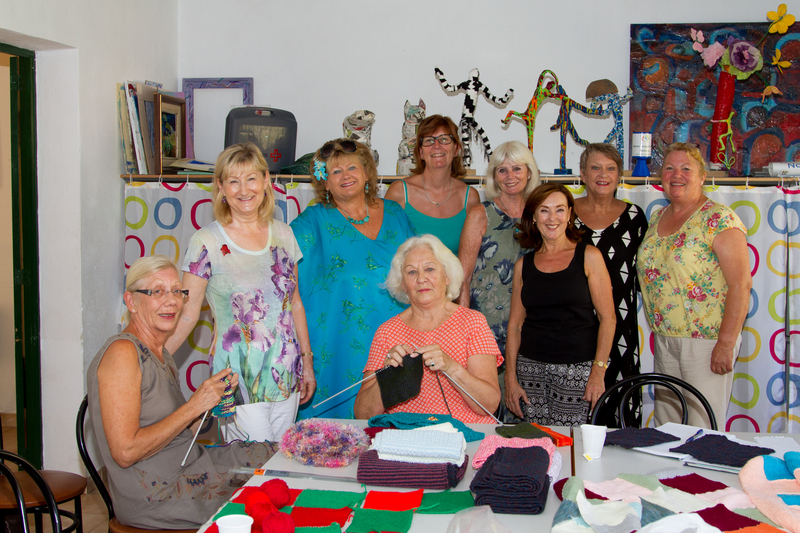 The group meets at the Assocuacio Veinats 3, Carrer de la Lluna, Bendinat, Calvia every Wednesday and absolutely everyone is welcome to join. Up in Alcudia at the bar called Legends they are looking for some keen darts players who would like to take on a Ex World Darts Champion. They will be raising money for charity. If you feel like having a go then get in touch with Stuart Leslie via the Legends Facebook Page.